Traditionally (or, perhaps a better word is "statistically"), in order for film to win the Best Picture, it has to also receive director, screenplay, editing and acting nominations. Of the ten BP nominees this year, only "The Hurt Locker," "Inglourious Basterds" and "Precious Based on the Novel Push by Sapphire" were nominated in all the winning categories. Sure, there have been exceptions. James Cameron's "Titanic" screenplay didn't get nominated, either. And remember the stink when "Driving Miss Daisy" won Best Picture without even a nomination for its director, Bruce Beresford? The director and screenplay nominations seem like obvious prerequisites for Best Picture. As does at least one acting nomination, because the actors' branch of the Academy is its largest. Some believe "Crash" won Best Picture in 2005 because the cast was so big that just about everybody knew somebody who was in it. One of the most surprising of this year's nominations for me was the editing nod for "Precious Based on the Novel Push by Sapphire." Small-scale character movies aren't usually the kinds of things that capture the editors' attention. Maybe it was those insert shots of sizzling bacon & eggs and hairy pigs' feet, I don't know. Or maybe it was the compressed/stylized cutting of action (watch how Mo'Nique gets the TV from the apartment, down the hallway and to the stairs, where she tries to drop it on Precious and her baby). Or maybe it was just that everybody noticed "the editing" when the film cut in and out of fantasy sequences. I would have chosen to acknowledge the flawless timing of the cutting in the Coens' "A Serious Man" (every shot is just where it should be, for just as long as it should be). It, however, lacks directing, editing and acting nominations, while "Up in the Air" (with three acting noms for Clooney, Farmiga and Kendrick) is missing only the key editing nomination, and "District 9" came up short in the direction and acting categories. 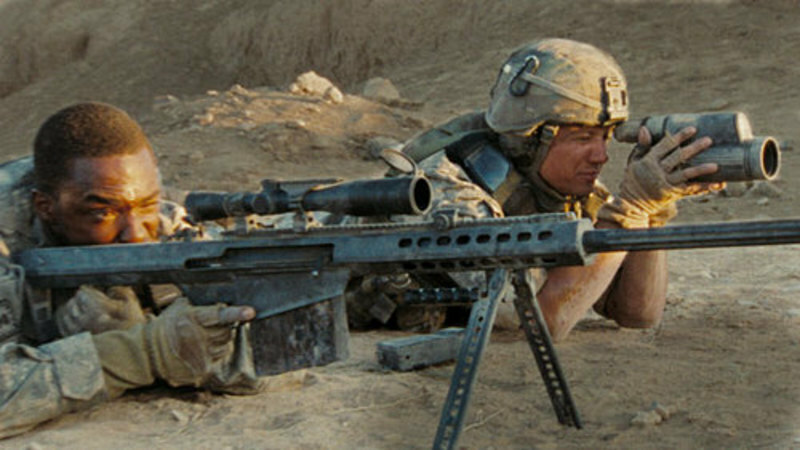 As for "Avatar" -- it, too, received no nominations for acting (although Richard Brody of The New Yorker's "The Front Row" blog tweeted that Sam Worthington in "Avatar" and Jeremy Renner in "The Hurt Locker" gave "more or less [the] same performance.). Actors are suspicious of the whole CGI/motion capture thing. In Newsweek, Morgan Freeman said, "I think it's a bit faddish, because it's really cartoons." Fellow acting nominee Jeff Bridges said, "I think what we [actors] do is the ultimate special effect," while Sandra Bullock (nominated for "The Blind Side") chimed in, "You can't get that with dots and green screen..."